So did other people, apparently, as we all waited several minutes to sample a bourbon vanilla porter, brown ale, cranberry-apple cider and more. There was more to like than the logo of Dingo Dog Brewery, however. Their beer was good, too. But it was the logo that gave enough reason for Nice Line Woman #1 to wait for the beer even before she had her first taste. It was cute, after all, and the reaction shouldn’t be that surprising. In an industry with hundreds of options trying to flag you down as you wander through a bottle shop or grocery store, it would be fair to argue that labeling has become more important than ever. These days, customer loyalty is often about a particular beer style in lieu of specific beer brand, forcing the need for creativity to catch a beer drinker’s attention. This idea was put to the test recently as CNBC held a championship-style bracket to determine the “most loved beer label” from 2014. The winner? An animal, of course. 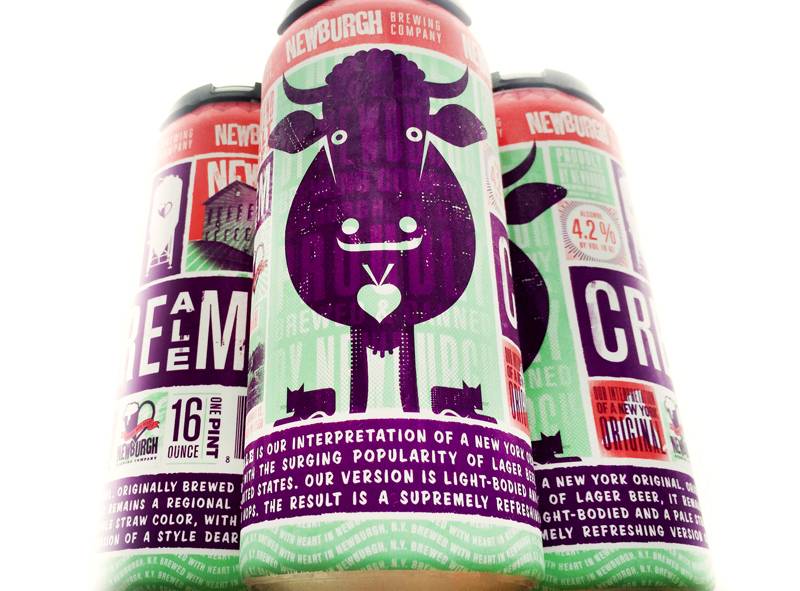 It was Betsy the Cow, emblazoned on the front of Newburgh Brewing’s Cream Ale. So what was it about the cream ale and its competitors that made them stand out for online voting in the contest? I decided to look for any potential threads. Along with Friend of the Program Jake Scholan, aka Hipster Brewfus, we’re both tackling the idea of beer labels and what that means to consumers. Here’s his own analysis. Read on for a deep dive into what CNBC voters provided us. From a total field of 64, like the NCAA Tournament, I analyzed labels that made the “Sweet 16.” Mostly because many early round matchups weren’t nearly as close in voting as the later rounds, indicating stronger options and a more “difficult” pairing from which to choose. All labels were set in regions: Central, Pacific, East and South. To take a look at the labels in the bracket’s order, see this PDF. 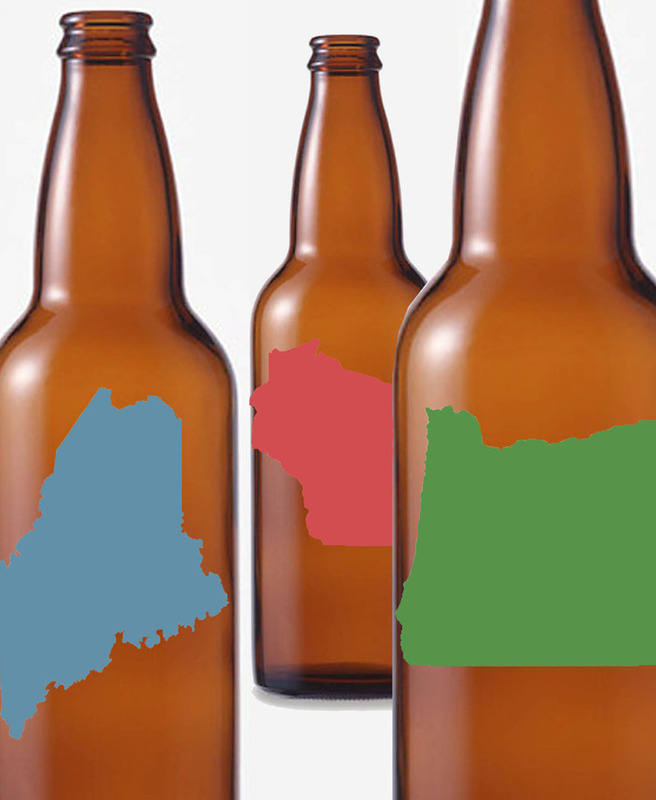 I decided to base analysis on a combination of popular aspects, including style of beer and ABV (which can offer impact ratings) and only looked at labels based on what was shown to voters by CNBC. For example, some labels presented in the bracket were awkwardly cropped, leaving out more information than was available to voters on other labels. 71 percent of U.S. wine consumers use the label to make a purchase decision. Drinkers say animals don’t impact choice, but five of the nine top-selling wines in 2005 in the US had animals on their labels. The second-most attractive label in a study was Yellow Tail, which features a wallaby. Description of flavors and aromas were found to be the most important information on the back of a bottle. Studies have shown that people make an subconscious decision about a product within 90 seconds of viewing it and 90 percent of that judgement is based on color alone. As with beer, surveys have shown that wine consumers prefer to make purchases of a drink they feel reflects their personality. That choice starts with what they see. One part of the selection process I appreciated was the reliance of new beers for voting. Much in the same way Instagram users can rack up likes by simply showing a bottle of rare beer, voting in this system has the potential to be motivated by bias of rare or specialty beer. In addition, none of the beers were out of this world, based on Beer Advocate ratings. 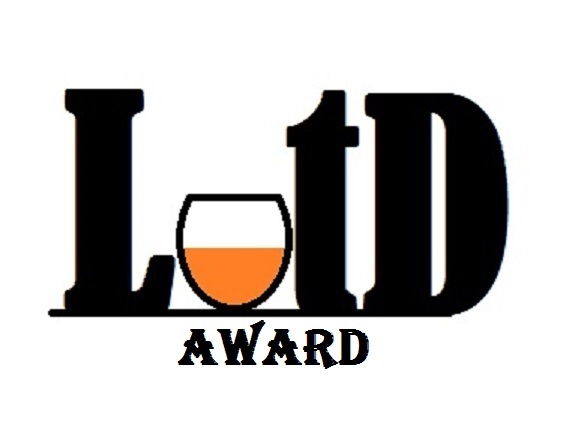 The average score for the Sweet 16 was 88, placing the collection in the “very good” category of the beer rating site but out of reach of “outstanding” (90 to 94) and well outside of “world class” (95 to 100). I’d say this is another bonus, as expectations wouldn’t be swayed by what labels people may have felt they were “supposed” to like based on a beer itself. The Elite Eight labels featured five IPAs, one pumpkin ale, a seasonal spiced ale and our eventual winner, the cream ale. Seven of the eight displayed the beer’s style, but only three had ABV listed on what CNBC showed voters. Three also displayed animals. 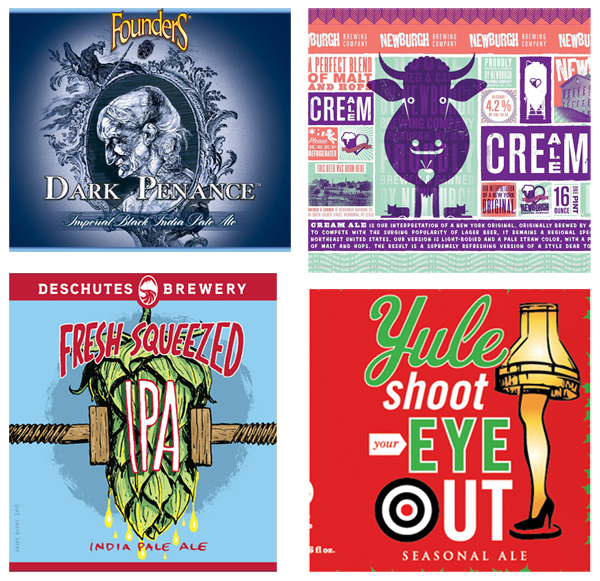 Interestingly, the two semi-final matchups were very close with Founders Dark Penance beating Deschutes Fresh Squeezed by 40 votes and Newburgh’s Cream Ale winning over Karbach Brewing’s “A Christmas Story” inspired Yule Shoot Your Eye Out by 41 votes. I was surprised by this result, mostly because Fresh Squeezed so prominently features “IPA” and a hop as it’s main eye-catching traits. I can image that works better at the point of sale instead of an online vote. These two labels were wildly contrasting, from the almost cartoonish design of Fresh Squeezed to the artistry of Dark Penance, which also features “Imperial Black India Pale Ale” on its front, which itself cries out to popular characteristics beer enthusiasts crave these days. The biggest problem here may actually be how CNBC selected these two labels. Yule Shoot Your Eye Out, a clever pun from A Christmas Story, is grainier and clearly cropped poorly compared to a full label shot of the Cream Ale. Based on this alone, I would venture Yule Shoot only performed as well as it did based on its punny inside joke and play on nostalgia, which itself can be an effective marketing tool, even with beer. Again, Cream Ale gets a big leg up against its competition. It’s much more colorful and matches Dark Penance’s artistry, but in a modern way with defined lines and sections. Perhaps most important, Newburgh’s Cream Ale hits on several key factors, as it was the only label of the Final Four to have style, ABV and an animal on its label. In addition to Betsy the Cow, you can also see two small animals at her feet that look like cats. There is certainly a lot going on with this label to the point of near information overload, but based on previous research and my own expectations, I understand why it won … in a landslide of nearly 1,000 more votes. An important thing to mention is the unlisted bias associated with a voting structure like this, where it’s an open vote and can be pushed by breweries and fanbases. Voting on a snippet of a label – often awkwardly cropped and inconsistently so – is also a problem. All the same, Newburgh’s win does reinforce a few characteristics worth focusing on, including listing style, ABV and descriptive information on a label. You see this as a growing trend in many stores and bottle shops, where informational tags, known as shelf talkers, provide a variety of information to customers. Anecdotally, I’ve been told from those in the industry, from brewery representatives to company administrators, that these do help influence decisions. Lastly, I’d love to see another bracket like this tested with different labels as a means to see if any of this data and research holds up in a consistent manner. Maybe even throw in a few “whales” like Pliny the Elder (beloved beer, plain label) or Westvleteren 12 (even more plain) just to see what might happen. In the meantime, it looks like Betsy will have a year to do her victory lap until we find out what will be 2015’s ‘most loved label.’ Any favorites you’d care to nominate? I wonder if this becomes more common and accepted practice, if breweries will begin to withhold that information the labels, and dedicate that previous real estate to more eye catching label art. My completely biased opinion would be to keep the biographical info on the tags themselves, as it all fits much more cleanly on talkers than on labels. Plus, it provides a service to distributors and shops alike. Some breweries produce their own shelf talkers – Victory, for example – while I’ve seen many distributors use pre-branded RateBeer tags. I think the amount of info savvy customers want fits best in that form, since we’re also talking extra cost and TTB efforts if a brewery were to take on the effort.